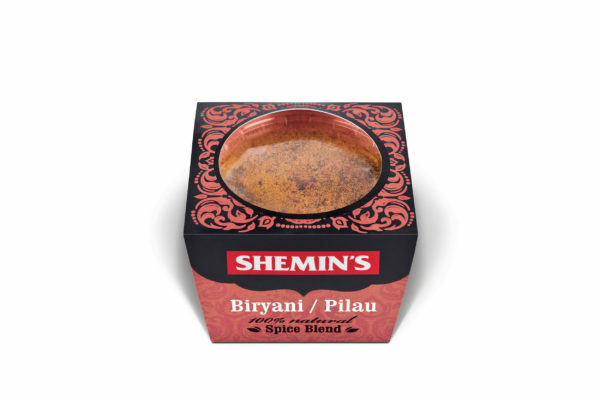 Our freshly ground Biryani / Pilau blend is a fragrant, aromatic medley of eighteen herbs and spices. Delicious with meat, seafood or vegetables, this blend creates a beautiful, authentic flavour in Indian rice and curry dishes. Ingredients: Garam Masala, Coriander Seeds, Tumeric Powder, Caraway Seeds, Fennel Seeds, Sea Salt, Mace Javantri, Whole Kashmiri Dried Chilli, Black Cardamom, Bay Leaves, Star Anise, Black Stone Flower. We live in France and one of our friends was bemoaning the fact that we haven’t got a convenient Indian restaurant nearby so I made a dinner with Bombay potatoes, vegetable curry traybake, and chicken korma, rice and bread. He said it was as good as ever he had eaten. I praised up your pastes and spices – I would never have deserved the praise without them. Thank you. I’ve been looking for a pilau rice seasoning that ACTUALLY tastes of what it should. Most are a melange of differing various spices and although the rice is “Fine”, it’s not WOW! I cooked some brown rice with caramelized onions, Shemin’s Biryani / Pilau spice and a tablespoon of coconut cream and WOW! That’s what I call Pilau!